ISLAMABAD: The election fever has reached a frenzied level in Khanewal district where Pakistan Tehreek-e-Insaf (PTI) is poised to give a huge blow to rival Pakistan Muslim League-Nawaz (PML-N) whose candidates had swept the 2013 elections across the district. The politics in Khanewal district is dominated by certain powerful families that can make or break major parties’ political clout in the area. Major clans in the area include Hirajs, Niazis, Khaggas, Dahas, Bodlas, Wynes, Qureshis, Wahlas, Maitlas, Raos and Syeds. For the first time in history, three factions of the powerful Hiraj group have mended fences and are jointly contesting elections on PTI’s platform while the PML-N candidates trail far behind. On the other hand, Syeds have also joined hands and formed an election alliance. 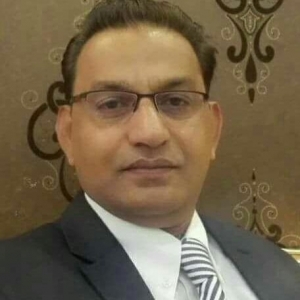 However, some Syeds of Koranga Union Council, Kabirwala are supporting PML-N.
Khanewal comprises of six municipal committees – Khanewal, Jehanian, Mian Channu, Kabirwala, Tulamba and Abdul Hakim. There are 1,597,719 registered voters in Khanewal district which include 700,467 female voters. These voters will vote for four National Assembly and eight Punjab Assembly seats on July 25. 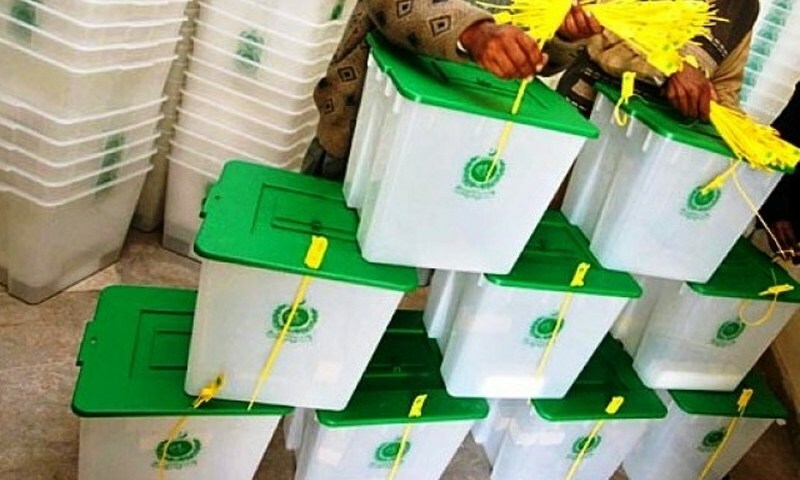 In the whole district, 28 candidates are contesting for four National Assembly seats while 56 candidates are in the race for eight provincial assembly seats. At least 1,375 polling stations have been set up in Khanewal district and consist 4,158 polling booths. For NA-150 Khanewal-I, former minister Raza Hayat Hiraj is contesting on PTI’s ticket against former NA speaker Syed Fakhar Imam, who is running as an independent. Imam has launched his own group with two former Punjab ministers as his wings, which makes the contest interesting. A political novice, Admiral (r) Saeed Sargana is contesting on PML-N ticket and lacks public support to challenge the two. Raza Hiraj is putting up a good fight even though he has to defend his past performance as he was a ruling party MNA in the recent parliament. On the other hand, Fakhar Imam is gaining by each passing day. On PP-203 Khanewal-I, former minister Syed Khawar Ali Shah is running from his hometown constituency, Qatal Pur, as an independent to challenge PTI’s Akbar Hayat Hiraj. PML-N, on the other hand, has fielded Murtaza Hiraj. PTI leads the contest as Syed Murtaza Bokhari, son of Syed Mukhtar Shah, is dividing the Syed vote as he is contesting on PML-N ticket. A tough battle is expected in this constituency though. In PP-204 Khanewal-II, Abbas Zafar Hiraj of PTI is up against former Punjab minister Syed Hussain Jehanian Gardezi who is contesting as an independent. Gardezi was denied PTI ticket due to resistance from his friend Raza Hiraj. PML-N’s Rana Irfan is trailing behind in the race while Gardezi is strong in the constituency and might sail through. For NA-151 Khanewal-II, Ahmed Yar Hiraj of PTI is leading the race while Mohammad Khan Daha of PML-N is trailing behind. Though the city is a PML-N heartland, the reunion of both brothers, Ahmed Yar and Hamid Yar Hiraj, has fortified their hold on elections. In race for PP-205 Khanewal-III, former state minister Hamid Yar Hiraj is in a strong position to defeat his rival Fazlur Rehman, who is contesting on PML-N’s ticket. Fazlur Rehman, however, may spring a surprise win. On PP-206 Khanewal-IV, Rana Saleem of PTI is in a comfortable lead against his rival candidate Nishat Khan Daha of PML-N.
Former MNA Pir Aslam Bodla is PML-N candidate for NA-152 Khanewal-III who is facing a tough challenge from PTI’s Pir Zahoor Hussain Qureshi, nephew of PTI Vice Chairman Shah Mahmood Qureshi. Pir Aslam Bodla has a better chance of winning as Zahoor’s cousin, Haider Zaman Qureshi, is running on PPP’s ticket. In the quest for PP-207 Khanewal-V, Abbasi Ali Shah of PTI leads against PML-N’s Amir Hayat Hiraj, where a close contest is expected. The race for PP-208 Khanewal-VI, the contest is between an independent Saeed Tabassum and Jamshed Shaukat of PTI. The PTI leads against Tabassum while PML-N’s Abid Hussain is trailing behind. Rana Babar Hussain is PML-N’s candidate from the constituency. The situation in Jehanian is different though where twice MNA Ch Iftikhar Nazir is comfortably leading the race for NA-153 Khanewal-IV on PML-N ticket. He is the sole PML-N candidate in the entire district who is leading. The PTI has again fielded its former candidate Malik Ghulam Murtaza Maitla in this constituency but he is trailing behind. Pir Sohail Zaman Khagga is contesting as an independent candidate for this seat. The contest for PP-209 Khanewal-VII is between two members of the Niazi clan. Faisal Niazi, who contested 2013 election from PTI, has now switched to the PML-N. Faisal again faces an uphill task to defeat his rival and former PML-N MPA Abdur Razzaq Niazi, who is now PTI’s candidate and leads the race. Jamil Shah is an independent but weak candidate in this constituency. In PP-210 Khanewal-VIII, Khalid Javed is PTI’s candidate who is leading due to support from his Arain clan. Former MPA Karam Dad Wahla is up against Javed as an independent after he was denied ticket from PTI despite joining PTI along with other leaders of Janoobi Punjab Sooba Mahaz. For PP-210, PML-N has fielded Attaur Rehman, brother of Iftikhar Nazir.